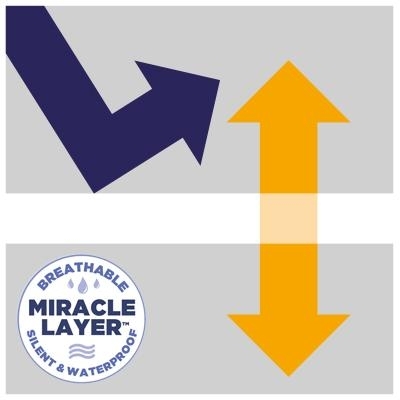 SuperAbsorbs up to 1.8L of fluid on a queen size. 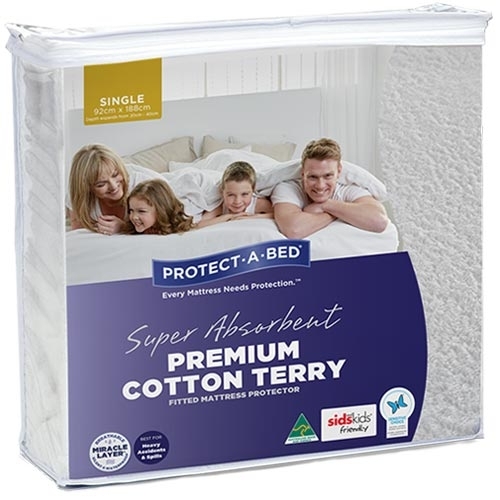 The Super Absorbent Premium Cotton Terry Waterproof Mattress Protector is made from 80% Cotton, 20% Polyester with absorbent sleep surface. It Protects your mattresses from moderate spills and stains. Absorbs up to 1.8L of fluid on a queen size. 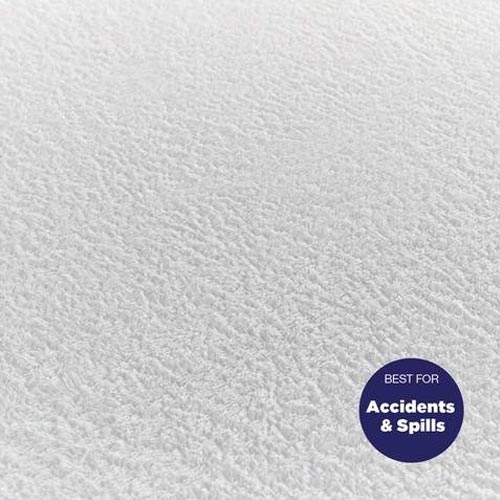 Terry towelling is best for spills and bed wetting, available in absorbent, and super absorbent. Providing a firm and dense feel, cotton mattress protectors are a popular choice. Cotton is hypoallergenic, as it is a natural fibre. 100% Polyester, Much like a fitted sheet, a fitted mattress protector pulls over the corners and edges of the mattress. The Expandall® fitted skirt is suitable for all standard and extra depth mattresses. It is easy to fit or remove, for ease of use when washing is required.